Transoms enable light to enter a room behind a closed door and they optically enlarge the space. Side and top transoms or a combination of both are produced. The standard glass type is transparent bark, but it is also possible to supply glass which matches the glass in the doors. The table of structural openings provides information about the production options. 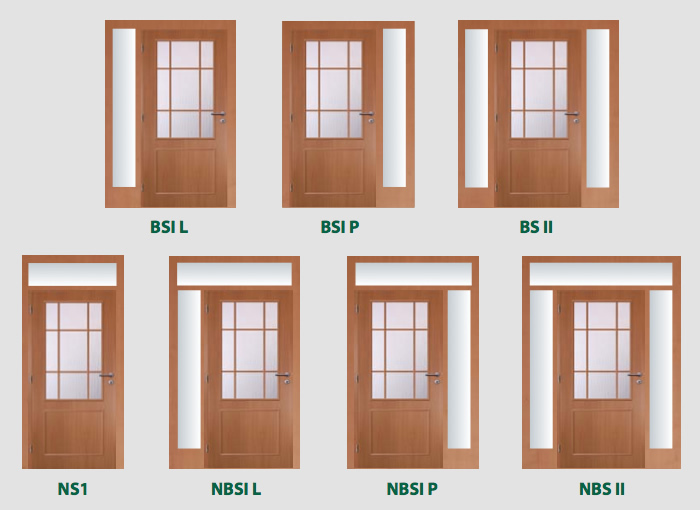 It is always necessary to propose the technical solution in accordance with the specific dimensions of the structural opening – especially the suitable width of the door. We recommend that the transoms should be installed by a specialist company.